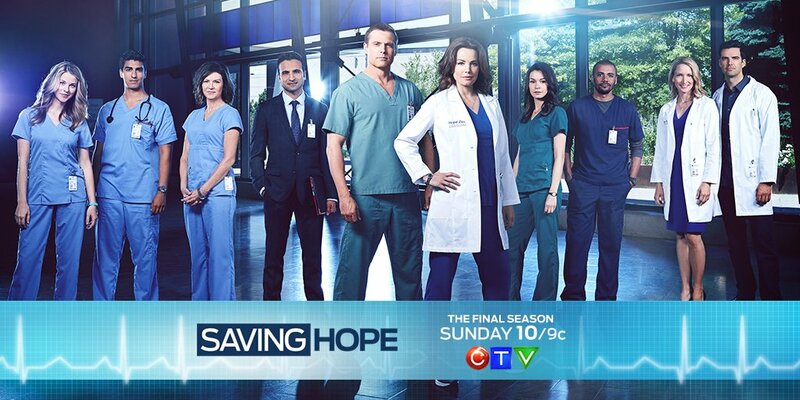 The supernatural medical drama series "Saving Hope" is back with a fifth and final season. 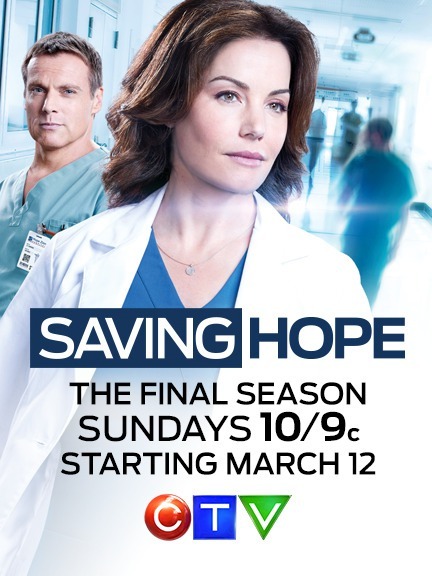 The series picks up after the Season 4 finale and finds the staff of the Hope Zion Hospital thrown into turmoil. As Alex (Erica Durance) faces a big decision, her fellow doctors deal with new challenges as changes come that will ultimately affect everyone. 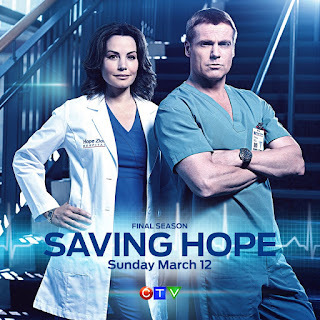 The show also stars Michael Shanks, Benjamin Ayres, Kim Shaw, Alison Brooks and Jarod Joseph. 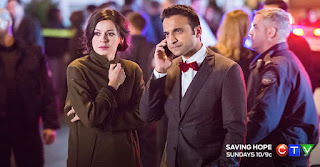 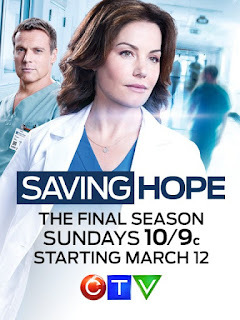 The first episode of "Saving Hope" Season 5 premiered on March 12th. The second episode, titled "Midlife Crisis" will air on March 19th. Find out more about the series after the jump. 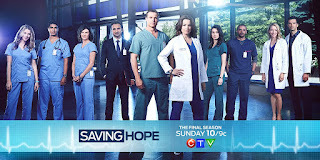 "Picking up in the aftermath of the heart-stopping Season 4 finale, in which a vengeful Tom Crenshaw (Travis Milne, ROOKIE BLUE) appeared at the Hope Zion Hospital Fellowship Awards and fired a shot at Alex (Erica Durance) and Charlie (Michael Shanks), Season 5 of SAVING HOPE sees the Hope Zion staff thrust into turmoil. 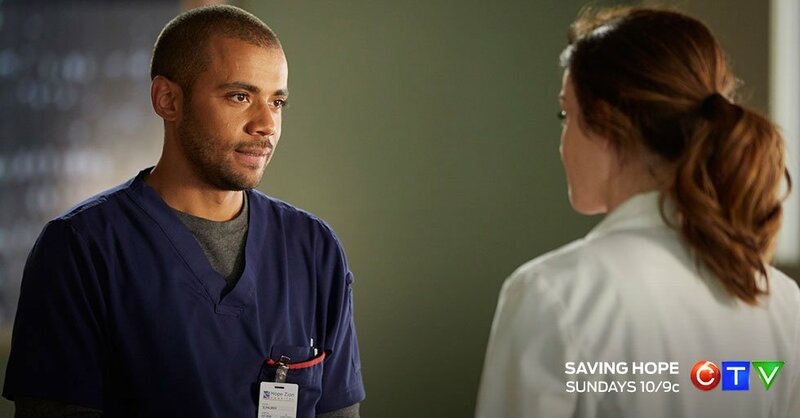 As Alex faces a big decision, her fellow doctors deal with new challenges as changes come to Hope Zion that will not only affect the livelihood of the hospital, but also its doctors and everything they hold dear."